Religions often nurture important skills that help believers locate themselves in the world. Religious perceptions, practices, emotions, and beliefs are closely interwoven with the environments from which they emerge. 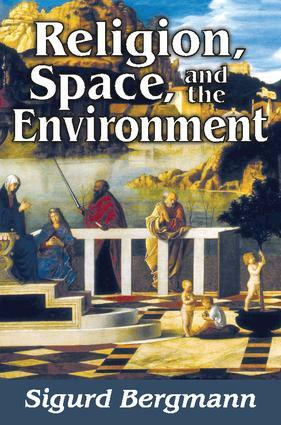 Sigurd Bergmann's driving emphasis here is to explore religion not in relation to, but as a part of the spatiality and movement within the environment from which it arises and is nurtured.Religion, Space, and the Environment emerges from the author's experiences in different places and continents over the past decade. At the book's heart lie the questions of how space, place, and religion amalgamate and how lived space and lived religion influence each other.Bergmann explores how religion and the memory of our past impact our lives in urban spaces; how the sacred geographies in Mayan and northeast Asian lands compare to modern eco-spirituality; and how human images and practices of moving in, with, and through the land are interwoven with the processes of colonization and sacralising, and the practices of power and visions of the sacred, among other topics.